All our centres have a comprehensive range of veterinary medicines and pharmaceutical health care products. The practice has an evidence-based and ethical approach to assessment of products and is able to take advantage of the latest developments in veterinary medicine. 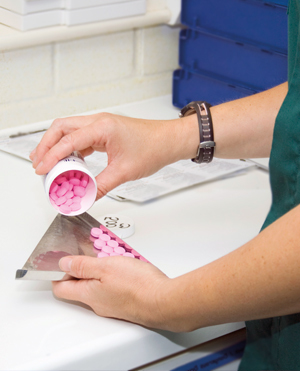 We provide a repeat prescription service and 24-hour medicines support service to all our registered clients.